If you’re looking for a new Infiniti lease, or your current lease is about to expire and you’re in the market to trade up, Auto Leasing NJ should be your first and only stop! 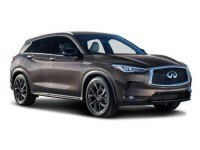 We have the absolute widest selection of Infiniti automobiles in the state of New Jersey, and our all-online Infiniti leasing system lets us cut overhead costs down to the bare minimum, so that we can offer you the very lowest leasing rates on Infiniti vehicles! 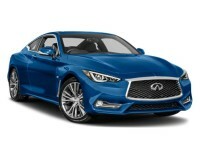 Whether you prefer the Q30 Hatchback, the Q40 Sedan, the Q50 Hybrid or the Q60 Convertible, Auto Leasing NJ has the guaranteed best Infiniti leasing deals in New Jersey! 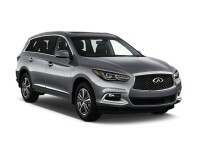 What’s more, our top-notch connections with Infiniti dealerships throughout the state allow us to offer their entire inventories of Infiniti vehicles as our stock, meaning that when you lease a car through Auto Leasing NJ, it’s like visiting every Infiniti dealership at the same time! We also have long-standing relationships with lenders and financial institutions, meaning that we can negotiate the best financing and interest rates for you! If you’re thinking about an Infiniti car lease, check out Auto Leasing NJ’s Infiniti inventory page, or call us at 609-830-0066 right away! Traditionally, leasing agents have physical, brick-and-mortar establishments, including offices, showrooms and car lots. This creates a number of issues. First of all, since they have a limited space in which to house their cars, these leasing agents are necessarily limited in the number and variety of autos they can offer for lease. By contrast, Auto Leasing NJ doesn’t even have a car lot. Instead, we leverage our relationships with Infiniti dealers throughout the state, meaning that we can offer the widest selection of Infiniti vehicles anywhere in New Jersey! This includes Infiniti SUVs like the QX30, QX50, QX60 Hybrid, QX70 and QX80, as well as every other recent-model Infiniti automobile! Another way in which we’re different from other leasing services is one that most people take most into account: price. Because we do everything online, and have no physical lots, showrooms or offices, Auto Leasing NJ can shave overhead costs to the very minimum, and this translates directly into lower monthly Infiniti car leasing rates for you! 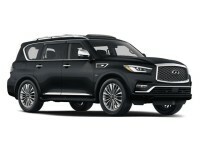 We’re certain that no other Infiniti auto leasing company in the state of New Jersey can offer lower prices than we do! 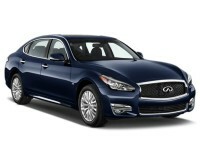 Check prices on our Infiniti stock page, or call 609-830-0066 now to inquire about the Infiniti you want! 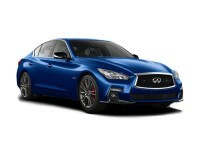 Auto Leasing NJ offers more than just low prices and a huge selection of Infiniti vehicles — such as the Q50 Sedan, the Q60 Coupe, Q70 Hybrid and Q70 Sedan. 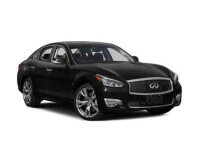 We also have the most convenient way to lease an Infiniti automobile of any other New Jersey Infiniti auto lease company. 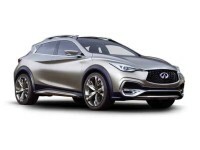 Every step of the leasing process is done online: from perusing our inventory page for the Infiniti you want to lease, to the application form, fast and easy credit approval, accepting the terms of your new lease and specifying the address to which you want the vehicle sent. The only offline part of the procedure is when you accept delivery of your newly-leased Infiniti! Get started with Infiniti auto leasing today by visiting our Infiniti inventory page, or by calling us at 609-830-0066!